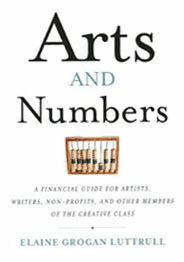 Arts & Numbers, Elaine’s first full-length non-fiction work for creative entrepreneurs grew out of the educational endeavors Elaine has pursued since 2007. This work is for creative entrepreneurs… and anyone with a passion for something other than accounting and finance. Arts & Numbers is not a financial guide that suggests financial matters should take center stage – Quite the opposite in fact. But just as a basic understanding of marketing, social media, public relations, and professionalism is essential to managing one’s personal brand, a basic understanding of finance is essential to ensuring the longevity of that brand. Ignoring financial matters is as crazy for creative entrepreneurs as it would be to ignore social media, and this book aims to provide just enough basic information on finance and financial matters for creative entrepreneurs to take ownership of their financial situations, thus insuring their long-term success, creative and otherwise. Written in short story form with fictional anecdotes supporting the financial advice, Arts & Numbers promises to be an easy and useful read for creative entrepreneurs at any stage. Enjoy these electronic files from the book to use as a starting point for your own personal and professional endeavors. There is something special about the creative community. We thrive when we support each other, no matter how different our creative outlets may be. If you are thinking of starting your own gathering of creative entrepreneurs, you may find this reading group guide helpful. It lists probing discussion questions to use to foster conversations — sometimes difficult conversations — about the business and administrative side of our creativity. You can always reach out to Elaine for support as well. She can help suggest activities and resources, and she is always willing to Skype in for a group chat. Contact Elaine for more information. Contact Elaine for the full guide. A little practice makes perfect. Check out the online workshops offered through Minerva Financial Arts to take your understanding of these topics to the next level. At Minerva Financial Arts, we care about artists and the community… A lot. All our courses are distinguished from others by Elaine’s hands-on, supportive approach to coaching you through the material. 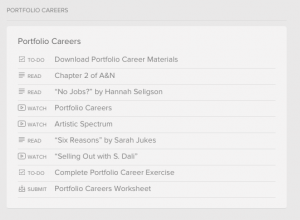 This course is meant to accompany your reading of Arts & Numbers and building your overall (successful) creative career. Not convinced? Check out the reviews and press coverage for A&N. Discounted bulk pricing information for Arts & Numbers is available from Agate Publishing. Contact Deirdre Kennedy, Marketing Coordinator, at Kennedy AT AgatePublishing DOT com for more information on purchasing copies to accompany your courses.